Hampton Dog Bites & Attacks | Virginia Dog Bite Lawyer - GET HELP. Seek medical treatment for your injuries. You probably do not know whether or not the animal is up-to-date on their shots which puts you at risk for rabies. Even if the dog’s shots are current, you may be at risk for infection. As well, it is very important that your injuries are documents by a medical professional should you decide to pursue a claim. Report the incident to the proper authorities by calling the police and the Hampton Animal Control Services at 757-727-6111. It is also very important that the incident is documented Take photos of your injuries as soon as possible, and throughout the healing process. This will become important evidence for your case. Contact a Virginia dog bite lawyer who is experienced with dog bite cases to help you get the best possible settlement. Medical Expenses: Dangers include any sort of medical expenses that a victim has had to pay for at a hospital, clinic, or to a pharmacy. Disﬁgurement & Scars: If the injury causes scarring or other unsightly marks, the victim may be entitled to recovery for the disﬁgurement. Because these injuries are often in very visible places, victims are often very self-conscious of their appearance. Wrongful Death of a Loved One: Fatal dog attacks don’t happen very often, but when they do occur, they’re always incredibly tragic. No one ever expects to lose a loved one in such a violent way. The Virginia wrongful death statute allows certain family members of the victim to file a claim on the behalf of the deceased. In Virginia, there are strict deadlines for filing a lawsuit. In many cases, Virginia provides a two-year deadline also known as a Statute of Limitations (SOL). However, sometimes special circumstances apply and can alter that deadline. 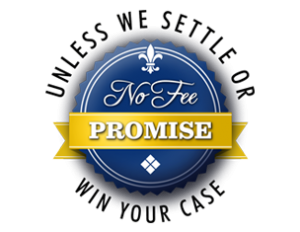 It is important to contact an experienced attorney as soon as possible after the accident to protect your rights. My Virginia-based personal injury law firm specializes in dog bite and dog attack cases. Our lawyers know the rules, the regulations, and the laws surrounding dogs and dog attacks, and we know how to fight for you in order to win you the legal redress to which you deserve. Contact our office if you or a loved one have been harmed by someone else’s dog.